Know your rights! 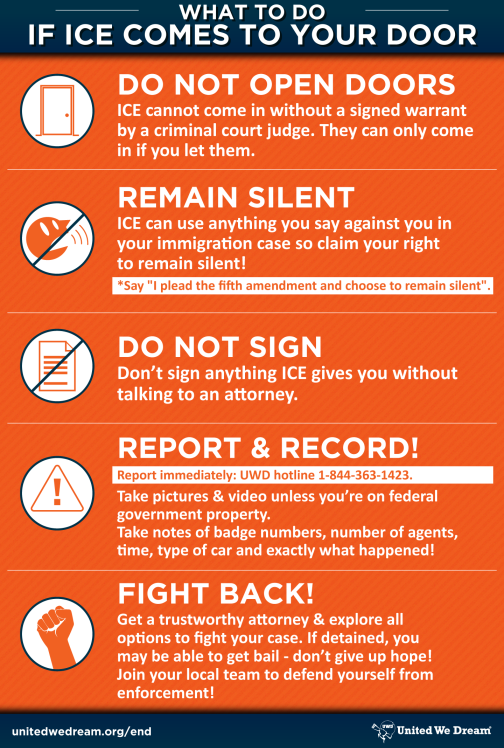 Protect yourself against immigration raids. 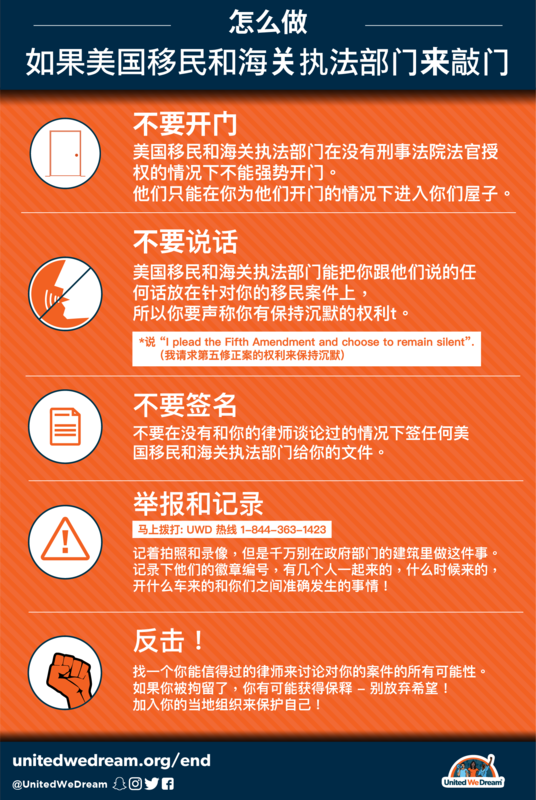 Are you prepared if Immigration & Customs Enforcement agents approach you? 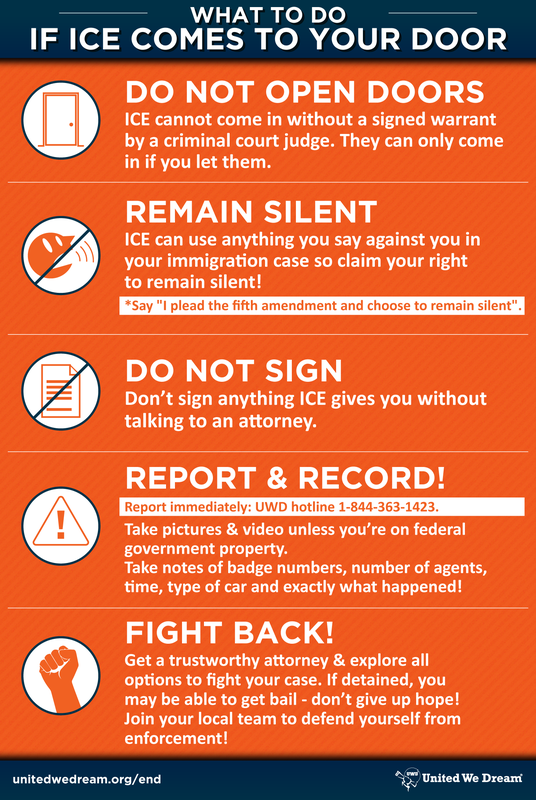 Download your Deportation Defense Card to know your rights & call our hotline (1-844-363-1423) to report ICE activity. For Mac and PC users: Right-Click on the image above and click “Save Image As”. Be sure to save the card to your phone to have handy in case you need it. Share it with anybody who you think might need it. Call the hotline to report ICE activity in your community. Report them to our hotline ASAP! 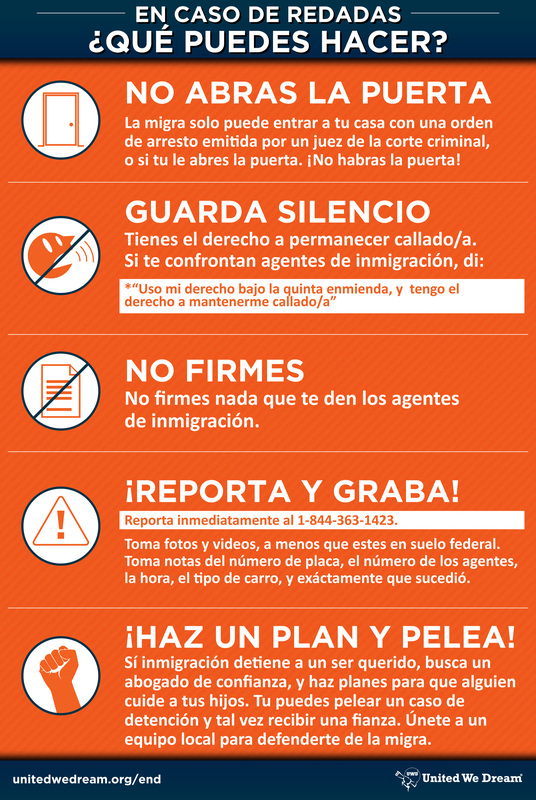 Call 1-844-363-1423 and share this information to protect your community from detention and deportation!